We know that there are worms in fish. Why, then, do kosher consumers eat fish??? 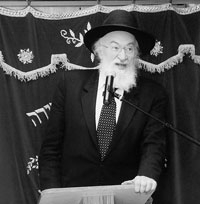 In this session, HaRav Belsky, a Senior Halachic Consultant for the Orthodox Union and Rosh Yeshiva of New Yorks Yeshiva Torah VDaas, elucidates the pertinent facts and laws as only a great sage can. A not-to-be-missed presentation.